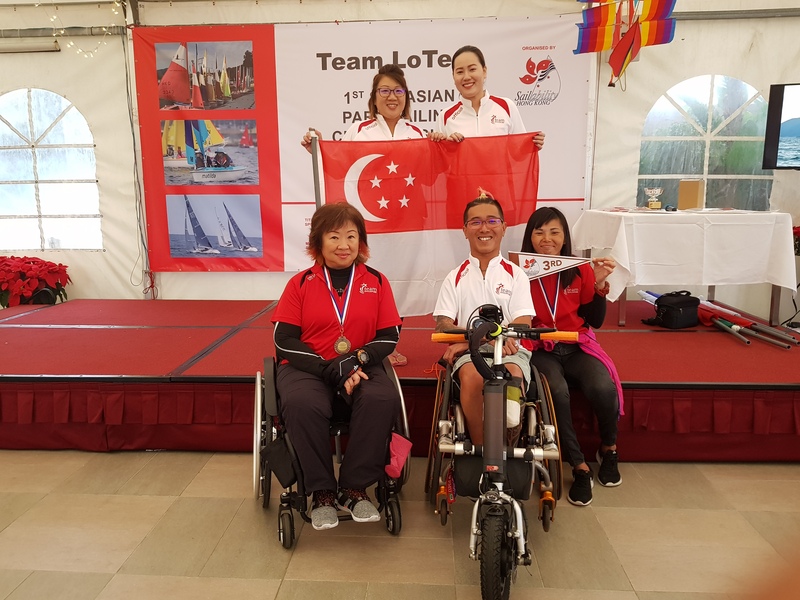 Jovin Tan a four-time paralympian turned coach led Team Singapore to the 1st SE Asian Para Sailing Championships in Hong Kong. The championship saw 7 countries (China, Chinese Taipei, Hong Kong, Japan, Macau, Philippines and Singapore) vie for top placing from 7 to 9 December 2018 at the Hebe Haven Yacht Club Pak Sha Wa, Sai Kung, Hong Kong. Since the exclusion of Sailing from the 2020 Tokyo Paralympics, Sailing competitions are limited to World Championships and invitational from countries. To bring greater emphasis on sailing to the Asian Region, Hong Kong Sailability organised the 1st SE Asian Para Sailing Championships spur interest among the Asian region and create more competitive opportunities for all. Under the guidance of Jovin Tan, Team Singapore Desiree Lim kept her cool by steadily securing third place in the 2.4mR class after 7 races with a score of 18 points. Fellow teammate Ng Xiu Zhen put on a good fight against competitor Cheerie Pin Pin from the Philippines and emerged third in her category.